as we currently explore how to improve the "navigation experience" with GraphHopper we created a very simplistic example to try this in real world. 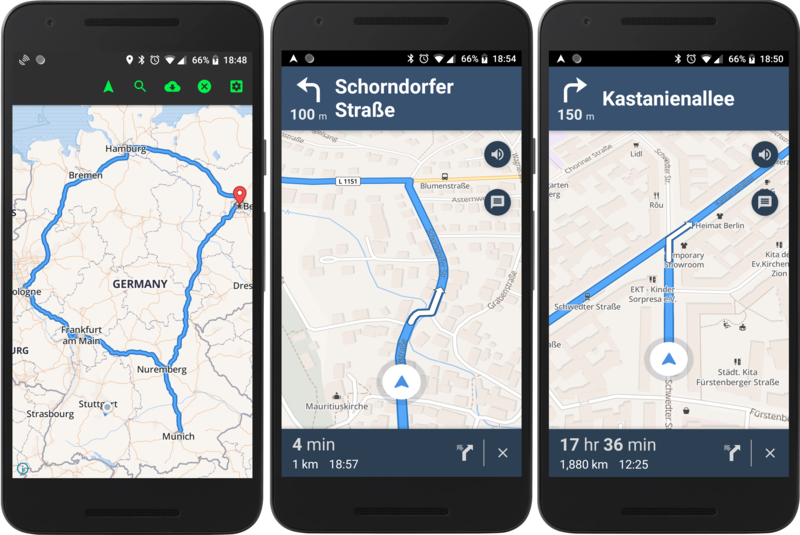 For that we forked the Mapbox Navigation SDK for Android, before they introduced a closed source binary blob (which is likely just some open source valhalla code). The server side requires either the GraphHopper Directions API or, if you want to have the server side 100% open source too, the GraphHopper routing engine plus this extension and Nominatim for the address search. A blog post will follow soonish too.